The very foundation of the universe and everything in it rests upon the laws of equilibrium. In the Hindu Sanskrit etymology of nature it is known as Prakṛti or that which can work beautifully by itself. Now what does that mean? The sages have taught through the millenniums the structure of the laws of harmony. 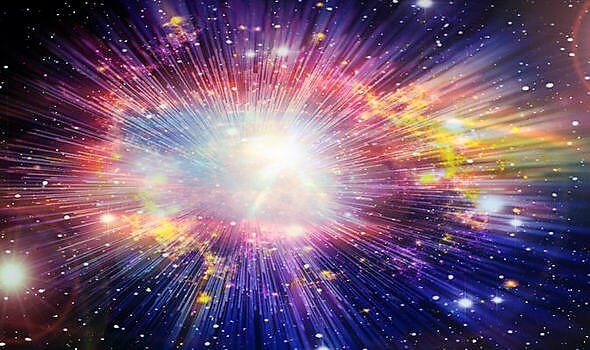 They revealed to those who could understand there is a play of unseen forces and unseen controllers of everything living and moving in this universe. There is a force made of cosmic rhythm ceaselessly at work at a process of creation, preservation and destruction being in perfect balance between positive, neutral and negative rhythm. They are known as the Aum Vibration. If you wonder what is the meaning of Aum, those three letters A, U, M; A means creation Brahma, U means preservation Vishnu and M means destruction Shiva; positive, neutral and negative. Those three cosmic currents endlessly work twenty-four hours a day with your thirty thousand billion cells, which is with every thought, word, feeling and action. You are not responsible for negative evil, God created it, but the moment you are in tune with it you have allowed those destructive thoughts to come through you and you begin to deteriorate. These are known as the three Gunas. Are we under Cosmic Dictatorship? Is God a dictator? Well, He has made His laws and there is no appeal process. The master says here is the penalty for those who refuse to allow their lives to be permeated with the divine laws of God. On this stage of life most people behave like puppet actors manipulated by environment, prenatal instinct and karmic destinies created in former lives. They never know what part they can play successfully nor can they understand how they can harmonize their own duties with the general plan of the Cosmic God. There is only one force in the universe and no one can dictate to it. Man can only submit and surrender. In here lies the greatest blessings, the ultimate in human experience, the submission to Gods will, here lies the secret of strength. You may have been a very successful person in your last life and accumulated a lot of wealth and in this lifetime, you seem very frustrated because you know you have the talent, you know you have the capacity and yet you cannot break through. Why? Simple, this kind of training has outlasted its usefulness. You make all the effort to succeed and you don’t; God wants you toward Him and once God wants to pull you toward Him you can try everything you can, you will not break through. So if you have great talent in life and it does not work, start to analyze your life if you really want God. Do you want glory, fame and money or do you prefer a simple life where God is going to manifest because the compromise and the coexistence of a wealthy life and God do not mix.